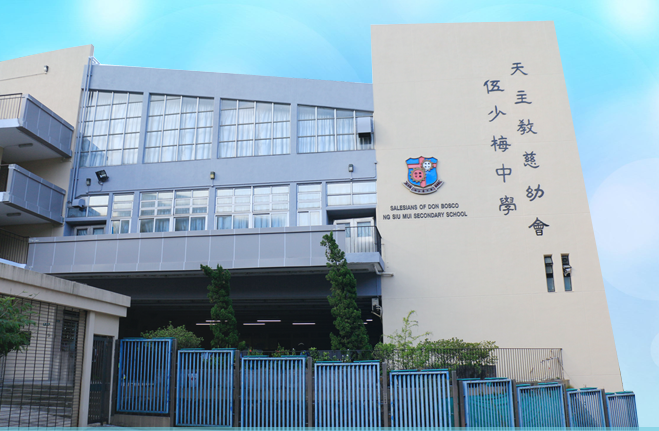 Salesians of Don Bosco Ng Siu Mui Secondary School follows the educational ideals of the Catholic Church and strives for a balanced and holistic development of our students in all spheres of their life. Zealously taking the Gospel teachings of Christ as our principles and the best practice guide, we strive to make our education environment into one which is permeated with the Gospel spirit of love, freedom and trust so that the redemptive mission of Christ may become fruitful in the process of nurturing our students. We also adhere to the Salesians’ mission and principles in running our school, follow the spirit of the preventive system of St. John Bosco and provide appropriate services for students with special needs. We endeavor to develop fully our students’ potentials, to build up their character and enhance their learning attitudes, so that they may grow healthily and become good citizens in the future. Copyright © 2019 1 All rights reserved.